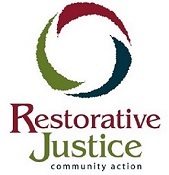 RJCA Community Conferencing provides people impacted by crime a forum to discuss the incident and determine restitution. 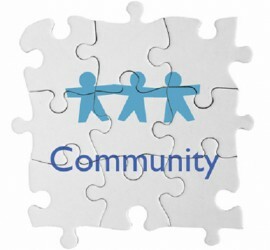 Community Conferencing offers youth and their families opportunities within their communities to address first-time low-level offenses. 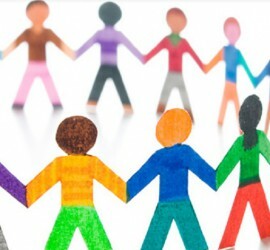 Community Conferencing offers adults who have committed first-time low-level offenses the opportunity to make amends. 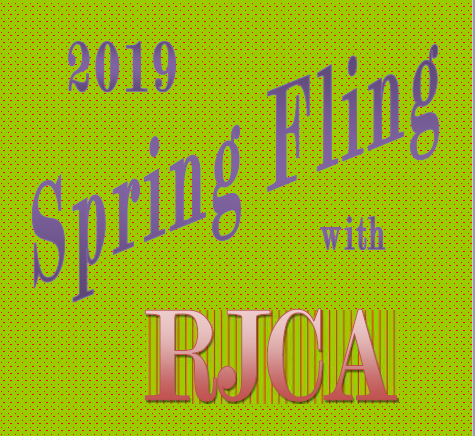 Spring is finally here and so is RJCA’s next fundraiser! Over the next 2 weeks, we hope to raise $5,000 to support our day-to-day operations, our internship fund, and our Youth Restitution fund. Your contribution is greatly appreciated. Click the red Donate Now! button on the right side of the page to make a donation. 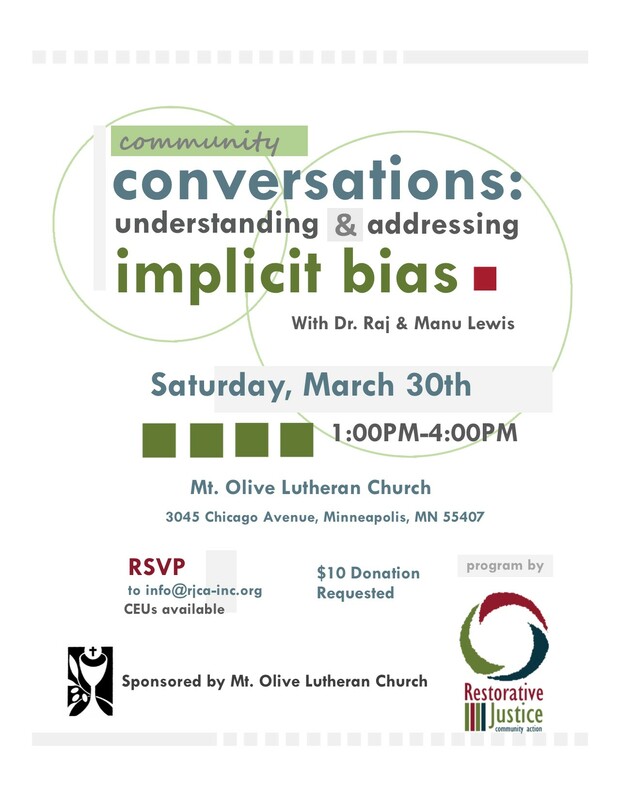 Our February Implicit Bias is coming up! 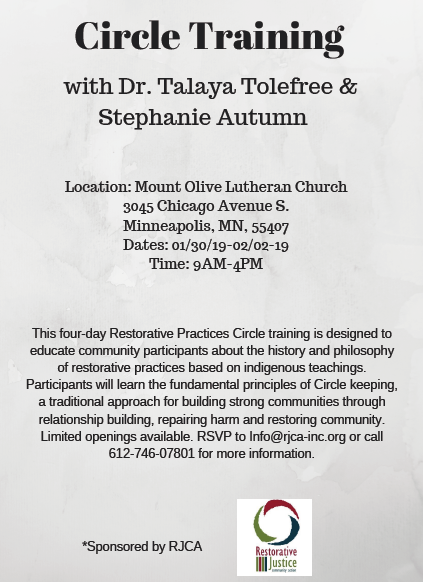 Join us for Circle Training! Spots are limited. 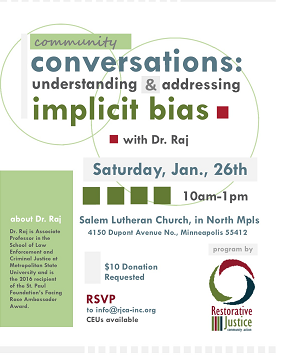 Join us for the first Implicit Bias of the year! On Wednesday, November 28th, we are moving to a different building in Minneapolis. It’s going to be a hectic week, but we will do our best to answer you emails and phone calls as soon as we can. 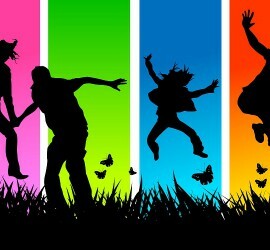 We expect that business will be running smoothly and that we will be able to answer all messages by Friday. 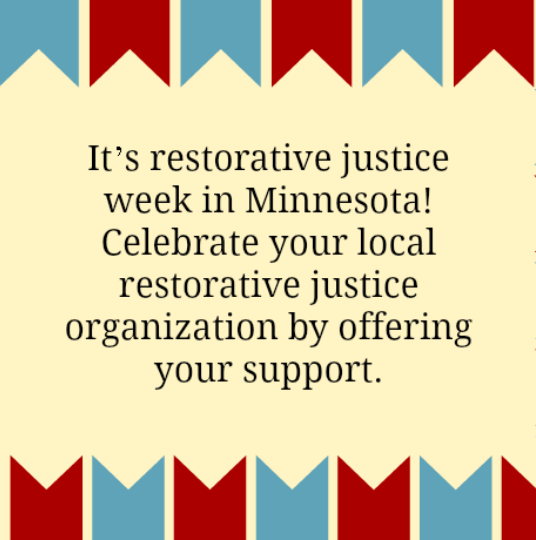 Starting on the 28th, our new address is 401 Groveland Ave, Suite 50 Minneapolis MN 55403. Our phone number and social media will stay the same.